​Goosebumps online games and board or card-based games are rapidly expanding and may eventually become as popular as the original series of books are now. 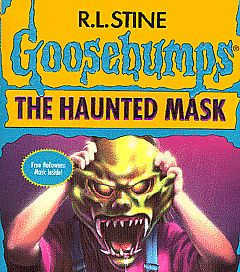 There are three Goosebumps video games, two of which have been created for the PC by DreamWorks Interactive. A 1996 game entitled Escape from HorrorLand is an interactive sequel to the book One Day at HorrorLand, and a 1997 game entitled "Attack of the Mutant" was based on the book Attack of the Mutant. Scholastic released a new Goosebumps video game on October 2008 titled Goosebumps HorrorLand based on the series of the same name. Goosebumps has spawned a lot of merchandise in other media, including T-shirts, board games, puzzles, hats, fake skulls, dolls, bike helmets, fake blood and boxer shorts. Goosebumps was also adapted into a stage play by Rupert Holmes and a Disney World attraction as well. Goosebumps also has an official website of course, which gets nearly 2 million page views each month, making it one of the most highly-trafficked kids' sites on the Web today. But Goosebumps games played online for free is a rapidly expanding area that may eventually become as popular as the original series of books are now.